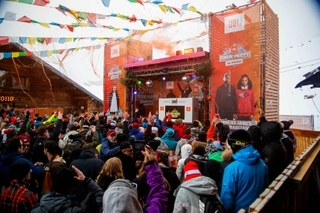 IFA 2016, BERLIN – HARMAN International Industries, Incorporated (NYSE: HAR), the premier connected technologies company for automotive, consumer and enterprise markets, today unveiled JBL Reflect Contour, the newest addition to JBL’s line of prominent sport headphones. The JBL Reflect Contour was designed for the everyday active lifestyle, providing convenience, comfort and style for those both in and out of the gym. Featuring best-in-class Dual Lock design, the JBL Reflect Contour combines a behind-the-ear hook design with exclusive ergonomic ear-tips for a secure fit and uninterrupted listening experience. Rugged and sweat-proof, the headphones’ thoughtfully designed reflective cable delivers nighttime visibility, giving athletes the confidence needed to take on their workout. Pairing JBL’s legendary sound with a sleek, light weight design, the JBL Reflect Contour provides athletes with an elevated audio experience for maximum performance during workouts. The JBL Reflect Contour connects wirelessly to any mobile Bluetooth-enabled device, allowing athletes the freedom to move without wires for up to eight hours of playback time. The JBL Reflect Contour also offers a built-in microphone to provide users with clear, crisp call capabilities. 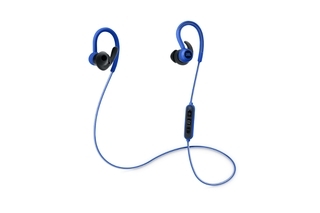 “A fantastic addition to the JBL sport headphones line, the JBL Reflect Contour is a top-of-the-line headphone that offers athletes premier sound and best-in-class design,” said Michael Mauser, President, Lifestyle Audio Division at HARMAN. The Reflect Contour is the newest addition to JBL’s family of sport headphones, empowering every athlete to hear and feel superior sound. 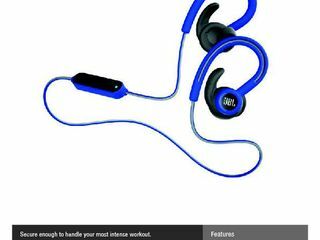 JBL’s sport headphones capture and elevate all sports: endurance, fitness and professional. Designed to cater to the distinctive needs of athletes, JBL provides uninhibited sound to amplify life and fuel passions. Like its users, JBL pushes the limits, unlocking spontaneous and emotional experiences through innovative product design. The JBL sport headphones family offers athletes unmatched sound, design and comfort, working in tandem with the athlete who revels in bending the rules and paving the path to excellence. The JBL Reflect Contour will be available for purchase online and in-store at select retailers September 2016 for €99.99 in black, blue, red and teal.